Each year I look forward to January for a multitude of reasons! I mean, who doesn't like a fresh start, a new calendar, and a cleaner house?! But January also holds the Virtual Curriculum Fair which I have had the privilege of participating in as well. For a homeschoolers, there are no teacher's workshops or in-house training sessions to revive us and give us new ideas. But the 2017 VCF is kind of like that. 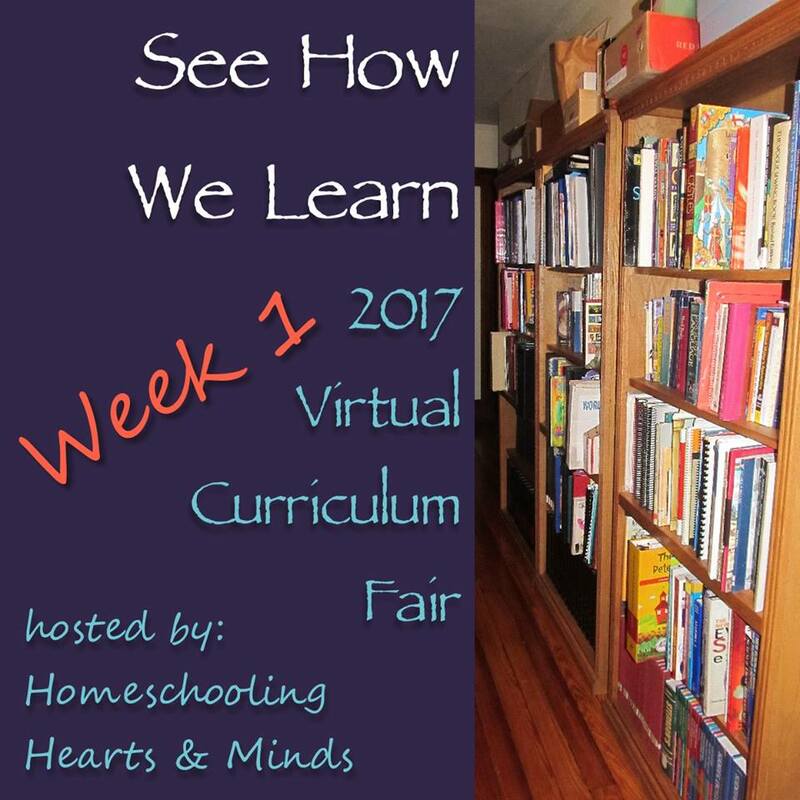 With just the click of your mouse you get to peek into fellow homeschoolers' lives, get some new ideas, be inspired, and be refreshed. Trust me, come January, I need ALL of those things! From Jan 2- Jan 30th we are going to get to do just that! Each week will have a specific theme to explore. You can visit all the links that are provided for you as well as have a chance to write your own post and link up with us if you wish! Consider it your in-house workshop and enjoy! So let me introduce myself to you this week if you are new here! We have been homeschooling for 18 years! Nope, that is not a misprint- 18 years! Our oldest (in the red dress) graduated from college two years ago and owns Ashton's Attic, a customized t-shirt quilt business. Our 19 year old (in the green dress) is a sophomore in college in Mississippi. Both girls duel-credited their last two years of high school via online classes, and entered college as sophomores, therefore graduating early. Our oldest son is a freshman in high school, and the "baby" of the family is a 4th grader. We school year round most of the time, typically schooling for 6 weeks and then taking a week off, 6 weeks and then a week off, etc. We enjoy several weeks off in December and school on a lighter schedule in the summer months. With our one daughter away at school, we now take breaks when she has them. Most days you will find me snuggled on the couch with the 9 year old, Colby, doing school, with Salem at a nearby table working independently. Quite a different environment from when I was schooling four kids at the same time, but I am trying to embrace this phase of our lives. In the blink of an eye, I know they will all be off in different directions! There is no right or wrong way to school. There is no right or wrong curriculum. There is no right or wrong schedule. Just a lot of moms and dads, doing their best to love their children and educate them to the best of their ability. Not all days are easy, but all days are worth it! Your lovely VCF host is Susan @ Homeschooling Hearts & Minds! Join us next week, Jan. 9th for Playing with Words- The Language Arts! Michele I can't wait to get advice from a trusted, experienced homeschool mama! I just checked out Ashton's Attic . . . love her work!! What a beautiful picture of your family! I hear you on the "no wrong way" but I still question if I'm homeschooling the right way. We are also down to two in our homeschool now. The years do go by so fast and it is sad to think about the day when our homeschool will be finished.